Anoop Rubens who is popular for scoring class songs is now getting ready to give an out and out mass album that too for NTR. Currently the music sittings for music are going on in Chennai. 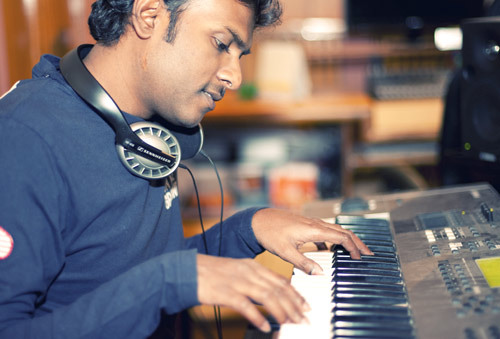 Anoop Rubens busy in composing Introduction song. Three versions of Introduction songs are rejected by the Director . Two songs are already completed composition. He preferred Chennai for new instruments , which will be available only in Chennai. Rabhasa next Schedule starts from September 10. Samantha pairing again with Jr Ntr. Santosh Srinivas of Kandireega Fame directing this flick.